Welcome to the group! Budgies are such fun birds. Welcome! What does your budgie say? I would love to see pictures and videos! 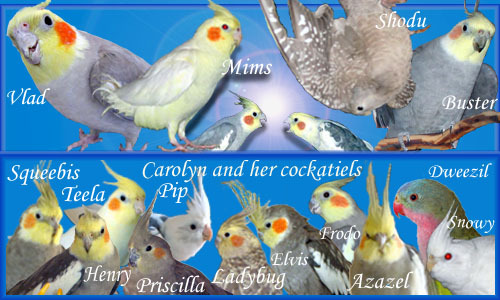 I have 2 budgies, a cockatiel, and a green cheek conure. One of my budgies, Pearl, is similar to yours. She talks and chatters a lot, and her favorite things to say are “pretty, pretty, pretty bird”, “talk talk talk talk”, “sweet baby bird”, and “Ducky wucky wucky wucky” (my cockatiel’s name is Ducky). Welcome to the group. Budgies were my first bird so they'll always be special to me. awwww; I love budgies, too! I have had two that were good talkers.